ASGCA members and golf industry leaders responded to questions via Twitter Oct. 30, discussing their facilities and the upcoming ASGCA Foundation event, From Tees to Green: A Symposium on Forward Tees & Other High-ROI Ideas, taking place at Pinehurst Resort (Pinehurst, North Carolina), Nov. 28-29. Following is a transcript of the chat. Q for Dan Van Horn, U.S. Kids Golf: What was your vision for Longleaf when you first talked with Bill Bergin, ASGCA about the project and the development of the Longleaf Tee System? What were you hoping to achieve? A: Our goal was to create “a living laboratory” for the industry, make all facilities at the club family friendly. For the course, create additional tees in order to serve ALL players—those already playing as well as the new golfers we would be bringing to the game. The goal was to help players have more fun, shoot lower scores and keep them in the game; provide a great first experience for the new golfer & an improved, “authentic” experience for those already playing. That’s why we invested in building new tees. Q: Additional tees were just part of the project at Longleaf Golf & Family Club, correct? What else are you doing at the facility? A: We did a lot! We totally renovated the practice areas, expanding the range tee, creating 2 practice greens in the short game area as well as an additional 10,000 square foot putting green w/a 9-hole putting course as part of it. Bill Bergin, ASGCA, also designed a 6-hole short course & the Wadsworth Foundation assisted with the construction costs. We also renovated the clubhouse, built an Academy building, & added natural areas throughout the course. A from Bill Bergin, ASGCA: We also developed Bottlebrush (6-hole pitch & putt). Small greens complexes scaled for kids. Shots around greens are challenging but fun, in the Pinehurst/Donald Ross tradition. Perfect to introduce new golfers to the game. Q: So many international golfers and their families have played U.S. Kids Golf events at Longleaf. Do you see this idea catching on around the world? Q: A 20% increase in rounds played at Longleaf Golf & Family Club is a testament to how well the program has been received. What are some of the comments you have heard from those who have experienced the facility? We believe ASGCA members serve an important role as the conduit in implementing this system. It’s critical ASGCA members are fully engaged & can convince the owner/operators of benefits that positively impact the end-user, the consumer-golfer. A from Bill Bergin: All of our Longleaf-style projects show increased memberships. 4 recent projects now have waiting lists. A significant goal is achieved in attracting more female golfers & allowing seniors to continue enjoying the game. 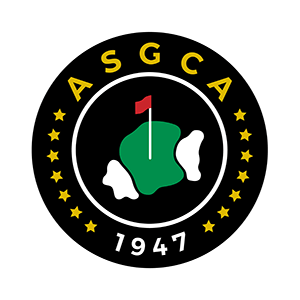 Q: Questions for Richard Mandell, ASGCA on Bacon Park Golf Course, Savannah, Georgia…What was the initial project direction? A: Re-vitalize a golf course which had slowly deteriorated & restore its original Donald Ross design in the vision of the owner, O. C. Welch Golf Properties. Over 90 years, time & an ill-advised expansion/renovation took its toll. There were extreme drainage problems & course features worn to the point of ruin. Sand bunkers lacked sand & were simple, flat circles out of scale to the site. Greens averaged 4,200 square feet, smaller than Ross’ intended 6,525 average. Q: You planned to authentically restore putting surfaces to Donald Ross’ intentions. How do you go about knowing what his intentions were? A: No one can guess what Donald Ross’s intentions are. Going down that road is a mistake. But we had all of his original design notes & plans, so we just implemented them to the best of our ability. Q: A 141% increase in green fees since the project was completed is impressive. What have you heard from golfers about the course? A: It has been 2-3 years since the initial work was completed, reviews are positive regarding the architecture. The Savannah City Championship has been revitalized along with the golf course. Q: Rancho Murieta, a private club near Sacramento. 2 new tee markers added to each hole, based on swing speeds & tee shots traveling 100-140 yards. From “Platinum” & “Emerald” tees, players now hit a variety of clubs & reach greens in reg. more often. A: Lynn Baugher, Rancho Murieta member: I was frustrated because I could never reach greens. My husband & I figured out where I would have to be on every hole to use the same club as he did for approach shots – then added my average driving distance. Our GM in 2017 contacted Damian Pascuzzo, ASGCA, to design the new tees. Two new sets of tees (3397 & 4304 yards) and one combo set (5057 yards) opened on our North Course in April 2018. Ratings were available for all tees for both men and women by mid-June. A from D. Pascuzzo, ASGCA: 1st phase was to define & test tee locations. These tees started as simple mowed down areas in the fairways and roughs. As funds become available they will be converted into fully built-out tees matching all of the other tees. Q: Change is difficult for anyone, especially golfers! As a member, Lynn, how did you convince other members to give the new tees a try? A: This includes using Longleaf data; working closely w/golf staff; on-course review sessions with members; & assisting groups in using new tees effectively – even allowing golfers to choose their own tees within an event. We also share handout materials. Q: What advice would you give to other facilities that are encouraging golfers to try other tee options? A: Watch for “triggers” of what gets players using the tees. Perhaps it’s taking a few players out & playing the new tees w/them, & chat about club distances, landing areas, GIRs, etc. Or maybe organize a special club event. Build on what works. Q: Damian, every project of Pascuzzo Pate is unique…what made Rancho Murieta different from other projects? A: We’ve encouraged our clients to implement forward tees for many years, but sometimes change comes to golf at a glacial pace. Rancho Murieta was refreshing; they had the idea & came to us to advocate for it & work w/them to implement the forward tees. Founded in 1946 by Donald Ross, Robert Trent Jones and 12 other leading architects, the American Society of Golf Course Architects is a non-profit organization comprised of experienced golf course designers located throughout the United States and Canada. Members have completed a rigorous two-year long application process that includes the peer review of representative golf courses. ASGCA members are experienced golf course architects, able to counsel in all aspects of golf course design and remodeling.